A TV series based on the 1999 sci fi comedy Galaxy Quest is apparently in the works. Do you think you will watch it when it comes out? 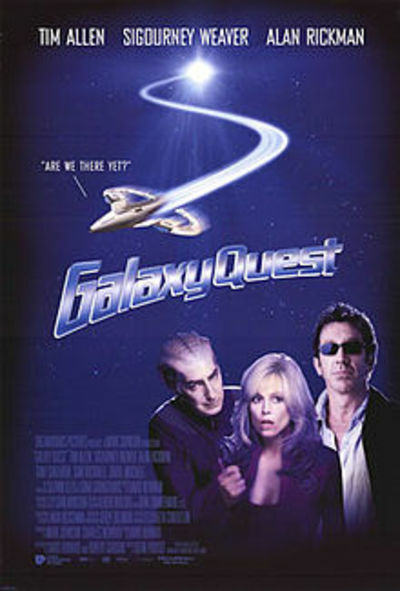 Poster from Galaxy Quest by Dreamworks Studios. Fair use. I was pleasantly surprised with the movie. 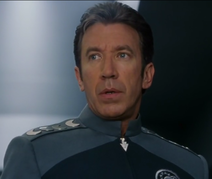 It was the first time I had ever seen Tim Allen in anything other than Home Improvement, of which I was not a fan, but Galaxy Quest was fun and very well done. I think a show would be awesome! There seems to be few deep space sci-fi shows on right now, and a celeb like Tim Allen could bring that kind branch of sci-fi back into the limelight. I've never seen Galaxy Quest, but depending on when it is on and what channel, I'd be willing to see what it is like. I quite liked the movie. I'll probably watch it if it's on here. Considering I hated the movie, I doubt it, But of course the tv show can be completely different better or worse. Funny I was absolutely the opposite to you dgrwriting. I was extremely disappointed with the film. I liked SciFi back in the day but am not so much of a fan now so I'd pass on this one. I have not heard of it, but would probably try watching it at least once. Have only just started watching re-runs of Dr Who -always liked sci fi but not that and now I watch it every night, and love it. Odd, how our tastes change! I would RECOMMEND this Movie to everyone, it is not a stupid as one may feel. It has a GREAT CAST, 3 of the best actors one can find together. It's funny....can make you think about human nature big time....has a great story line.....and is at times sad. Quite a surprise for a movie story, very interesting and confronting. Sadly who could play the late & great Alan Rickman, he did so well in this story. Tim Allen was really very good, and of course Sigourney Weaver as always at her best. Would I watch it as a TV Series? yes indeed if they keep it to the same standard as the movie.